Earn $7.29 in VIP credit (729 points)What's This? The tubeless-ready Rekon 3C/EXO/TR MTB Tire from Maxxis has the versatility to tackle a wide range of trail conditions thanks to a variable knob profile that includes a diffusion of hefty knobs for clean cornering and beveled knobs for fast rolling. 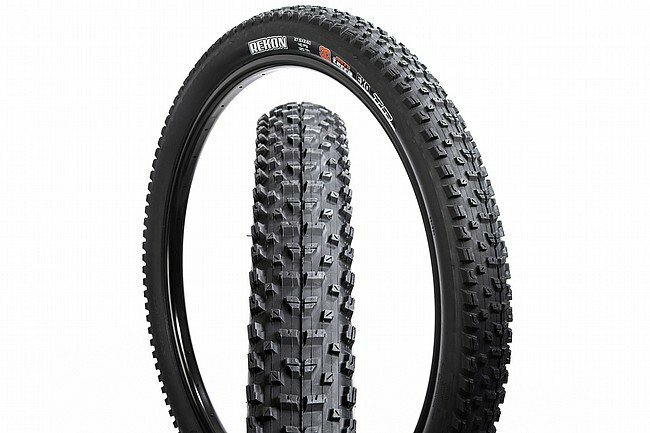 Featuring a malleable casing and grippy 3C Maxx Terra compound, this tire provides a stable, smooth ride over trail irregularities. Punctures and tears are less of a concern with this tire thanks to EXO protection. Size: 27.5 x 2.6 in.